All markets in the world revolve around supply and demand. The foreign exchange (Forex or FX) market is no exception to this rule. The concept of Forex supply and demand is so vital to the foreign exchange market that having a good understanding of this concept will make all the difference in any foreign exchange trading. Grasping this elementary cornerstone will give traders the ability to sift through the financial data streaming in daily and increase their chances of successful forecasting and predictions. The basic economic principle of supply indicates how much of a specific commodity is available at any given time. Supply indicates the change in value of a currency or commodity as the amount of supply rise or fall. An increase in supply of a currency of commodity will have a decrease in its value and price. The opposite is also true: a lower supply available of a specific currency or commodity will result in an increase in its value and price. This principle can be explained by looking at availability (supply) of diamonds and rocks. Rocks are low in value because they are high in supply. You can find rocks everywhere in any shape or size. The opposite is true for diamonds. They are high in value and price because they are short supply. The supply factor is important to any financial market, but the primary moving force behind the price and value of any currency is dictating by the demand factor. The price and value of any commodity will change related to increase or increase in the demand that exist for that commodity. A commodity will increase in price and value as the demand for it increases. Less demand for a commodity will result in a decrease in its value and price. The principle of demand can be explained in principle by looking at the ticket sales of a popular a rock concert tickets. If there are a limited amount of tickets available for a popular rock concert, the demand for the tickets will be high. Available tickets will increase in value and price. We can deduct from the above explanations that demand for a currency has the exact opposite effect on the value and price of a currency than that of supply. A host of factors affect and govern the demand and supply of a commodity. These factors will form part of the fundamental analysis model that is compiled by foreign exchange traders. Long-term forex demand and supply refers to a time frame of a year or more. 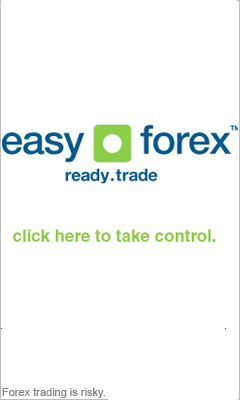 Short-term forex supply and demand refers to a time frame of approximately thirty days or less. To be competitive in the foreign exchange market, it is vital that you can determine where there exists an increase supply in the market and where there is increasing demand.